Printable Coupon: Save $0.50 on any one Kraft Grated Parmesan Cheese (8 oz. or larger). Manufacturer coupon valid at all grocery stores. - $1.00 off 1 Kraft Singles or twin pack. - $0.75 off Kraft grated parmesan cheese. - $1.00 off Kraft String Cheese. - $1 off Philadelphia cream cheese. 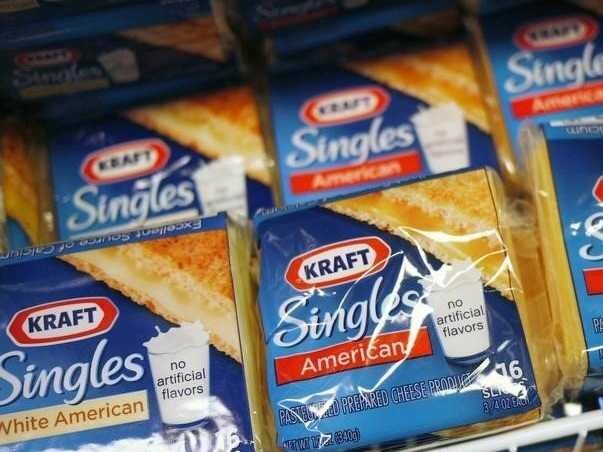 $1 Off on any 2 KRAFT Singles (16oz). Print a $1 coupon for one package of Kraft cheese individually wrapped singles (12 oz) and redeem it at your local Kroger store. Load coupon to your kroger card to redeem in store. Buy 1 Kraft Miracle Whip or Mayonnaise and 1 American Single, Get 1 free. - $0.75 discount on Kraft grated parmesan cheese.